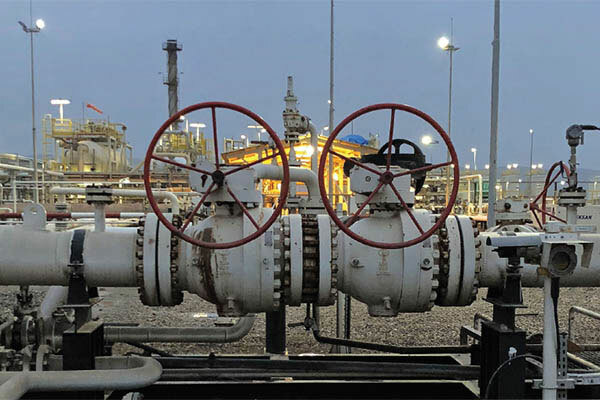 RAK Petroleum plc, an Oslo-listed oil and gas investment company, said it plans to repurchase such number of its class A shares with ISIN GB00BRGBL804 at the Repurchase Price up to a maximum aggregate consideration of $15 million. This is in accordance with the authorization provided at its Annual General Meeting on June 1, 2018. The Company and SpareBank 1 Markets AS (the "Manager") have entered into a repurchase contract in the form approved by the AGM (the “Repurchase Contract”), pursuant to which the Manager is initiating a reverse tender offer (the "Buyback Offer") to holders of beneficial interests in the Shares. The Manager will then settle the Share repurchase as principal and for its own account, following which the Manager has an obligation to sell the Shares to the Company, which has an obligation to purchase them from the Manager. The Buyback Offer will commence on April 15, 2019 at 8:00 CET and will expire on April 26, 2019 at 14:00 CET, unless extended at the sole discretion of the Company (the "Buyback Offer Period"). The Company, by way of instruction to the Manager, shall be entitled in its complete discretion to waive, amend, extend, accelerate, terminate or withdraw the Buyback Offer at any time before expiry of the Buyback Offer Period. The number of Shares to be repurchased, if any, and the price per Share will be determined through a reverse bookbuilding process in which Eligible Shareholders (as defined below) may offer to tender to the Manager all or a portion of their Shares at prices they set. The Buyback Offer is not conditional on any minimum number of Shares being tendered. It is proposed that the Company repurchase such number of Shares at the Repurchase Price (as defined below) up to a maximum aggregate consideration of $15 million (the "Cap"), subject to any amendments by the Company of the Buyback Offer in accordance with the below. Shares repurchased will be cancelled and result in a reduction of the Company’s registered share capital. Eligible Shareholders who wish to offer for sale all or a portion of their Shares must complete and sign the tender form available on the Company’s website and submit it by e-mail to the Manager before expiry of the Buyback Offer Period. All Eligible Shareholders who may want to participate in the Buyback Offer must be registered clients of the Manager. If a Shareholder is not a current client of the Manager, it must complete the Manager's client registration process, including applicable know-your-customer and anti-money laundering requirements, as set out in Appendix 1 to the Tender Form. Eligible Shareholders who may wish to tender Shares in the Buyback Offer should immediately begin the client registration process by completing Appendix 1 to the Tender Form and submitting the relevant documents to the Manager by 19 April 2019. However, the Manager will use reasonable efforts to process the client registration also for any such documents submitted after 19 April 2019 on a first-come, first-serve basis, but no assurance can be given that any documents submitted after 19 April 2019 will be processed prior to expiry of the Buyback Offer Period. Even if the documents are completed and submitted to the Manager by 19 April 2019, there can be no assurance that the Manager will be able to complete the client registration process to its satisfaction prior to the end of the Buyback Offer Period due to follow-up requests which, in the Manager's sole discretion, are not met, the Manager's internal policies relating to registration of new clients or otherwise.